DaaS (Desktop as a Service) is a solution for virtual desktops, allowing transfer of all the resources, necessary for work with computer, to a datacentre, leaving to the user only the tools needed for information sending, receipt and display. This solution allows creating virtual computers with separate operating systems, applications and user data. Every user has dedicated system resources and possibility to restart the system. 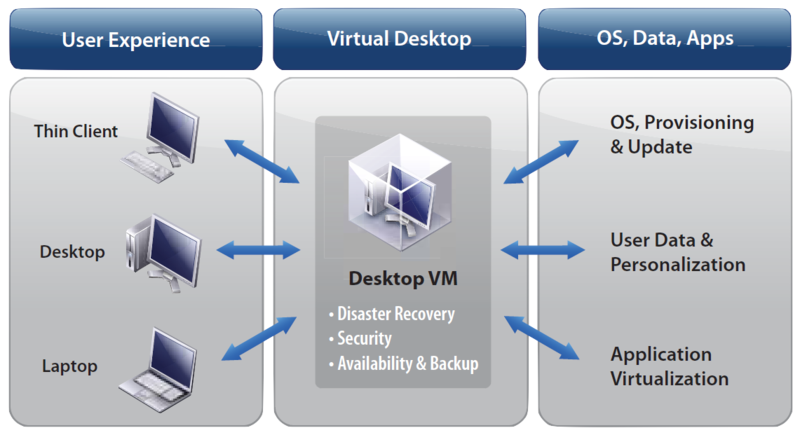 We provide the DaaS service using globally popular VMware virtualisation platform VMware vSphere. It allows creating, in a single server, separate and mutually independent virtual machines having separate operating systems and applications and able to operate independently at the same time. This is the main and the most important difference from terminal desktops that use a single centrally managed operating system.